The Burma Partnership (BP), a community based advocate organisation called on the United Nation High Commissioner for Refugee to consult and to involve refugees in the process of repatriation. Burma Partnership released a video that shows the lack of consultation and involvement of community groups and refugees in the repatriation process. 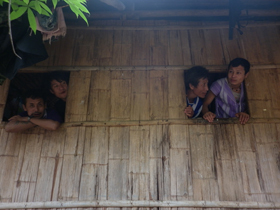 Constant rumors of repatriation of refugees from Burma who live in camps along Thai-Burma border have created anxiety for refugees and community-based-groups. According to a BP spokesperson, the UNHCR says that repatriation is not happening, but on the ground refugees see that many preparations are being made. The BP officer told Karen News. On December 12th, BP held a press conference at the Foreign Correspondents’ Club of Thailand (Bangkok) and launched the seven-minute long documentary film produced about the lack of the UNHCR consultation with community groups and refugees. The panelist at the press conference included U Soe Aung from the Burma Democratic Alliance, Saw Kweh Say from Burma Issue, Naing Aw Mon and Ko Neh Doo who spoke on Karenni refugee issues. Also attending the press conference were members of Non-Governmental Organizations, Community Based Organizations, the UNHCR and journalists. U Soe Aung, one of the panelists spoke at the press conference and said. BP’s documentary film ‘Nothing About Us Without Us’ was also launched in Geneva, Switzerland on December 11, 2012.